On this page are the details of the people I work with who are both proficienct in and passionate about Data Governance and other related fields. I have worked with Justin for a number of years, and he is very familiar with my approach and methodology. Justin is currently supporting me at a couple of my clients. 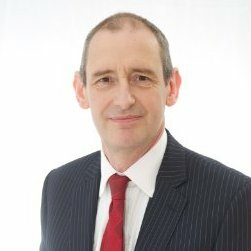 Justin York has over 20 years’ experience in the field of data and information management, in defence, financial services, charity and legal environments; Justin has experience in the design and development of data governance policies, operating models and processes to support the implementation of governance frameworks. His extensive knowledge is reinforced with a technical background which enables him to discuss complex issues around data, across the business/technical divide. When Justin is not involved in data governance activities, he coaches and mentors in the field of change management using his own methodology, Rubicon-OPM® to address the issues of resistance, friction and conflict during change activity. Through this approach, centred on people, the impacts of the common issues is reduced and performance increased enabling better delivery to deadlines. Liselle Ramcharan-Briscoe is an information management (IM) professional with a passion for “data” and project management (PM) with an interest in organizational change management (OCM). She has over ten (10) years of experience in information technology and project management, at the business, technical and consultative levels in various functional areas such as Insurance, Finance, Retail, Media and Telecommunications. When she is not supporting me with my Data Governance activities, she is seeking opportunities to support companies in the development of the IM related initiatives and in building their project management maturity. Alex has worked with over thirty UK universities, most of the sector agencies including UCAS, HESA and the QAA and a host of practitioners in the HE sector. Alex designed and developed the HEDIIP data capability framework, led the team to create the HESA in-year collection model, designed the sector level governance for reporting and co-developed the UCISA Higher Education capability model. Alex is known for his passion and practicality when it comes to finding compelling reasons to treat data as an asset. With over twenty years experience of data and data related projects and frameworks, he starts with outcomes and works back from there. Alex and I have created Data Governance training for the HE sector and have delivered that training at a number of universities. Bonny works from the intersection of health policy, health economics, and healthcare. Let’s face it. The data revolution is here and her expertise is tackling industry specific problems and rendering them solvable with data. A 20+ year career in academic medicine, industry, agency, medical education and as an in-demand consultant creates a unique approach to data governance, data architecture, and applied data science. A big advocate of data literacy Bonny is a life-cycle data consultant. The ability to appreciate the overall concept while simultaneously thinking about detailed aspects of implementation allows different levels of abstraction to be curated creatively and empathetically. Hadar is fully trained and licensed to use my methodology for successful Data Governance. Hadar Gorodesky has over 25 years of experience in information management and data management, specializing in critical information management. He is a senior specialist in the telecommunications and insurance OSS/BSS/architecture segments, with special expertise in master data management and data governance. Hadar is experienced in leading vendors and has worked for the world’s leading carriers. He has demonstrated strength in all aspects of the software product life cycle and specializes in application architecture, portfolio management and project planning and delivery. You can find out more about Hadar and the other services his company offers on his website.